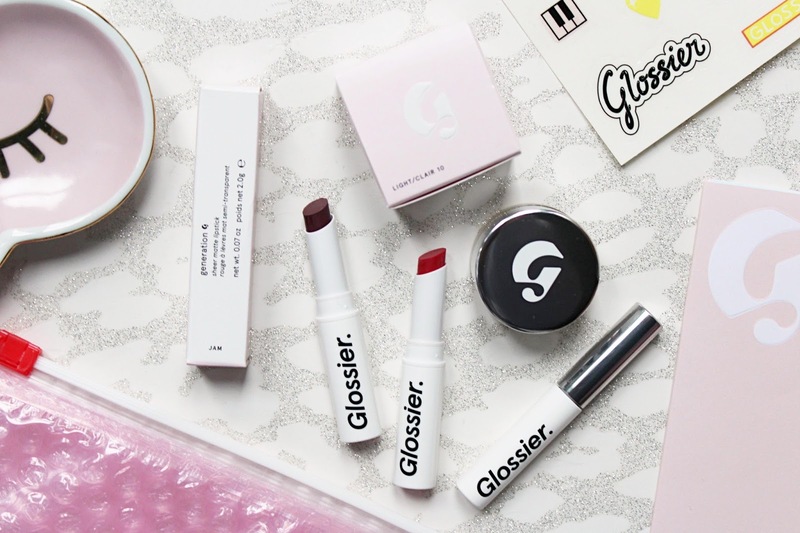 As soon as Glossier was available in the UK last week, I didn't think I was going to go as mad as I have but I have fallen for the brand (I blame Lily from Pint Sized Beauty slightly, we are both obsessed). I thought I would share some first impressions within my haul as I have been testing them out for a little over a week now and so far, I am so impressed! 10% off your first order - HERE. Lily had tried out a couple of products before the UK launch and recommended me the Milky Jelly Cleanser, I am not that crazy about skincare but I thought I would give it a try and see if it is worth the hype. It retails for £15 which is slightly more than what I would usually pay for a cleanser but I am really impressed with it and the way it leaves my skin feeling. I have been using this as a second step cleanser and it leaves my skin feeling clean but not stripped of hydration and feeling super soft. The other product I ordered as part of my first order was the Generation G in Jam. I had wanted this ever since I saw 50 Shades Darker earlier this year and saw that she wore it in the film, it looked stunning on her! I actually had a slight issue with my Generation G when it arrived as it smelt bad, I asked a few people on Twitter what their's had smelt like and basically confirmed that I had got a bad one. 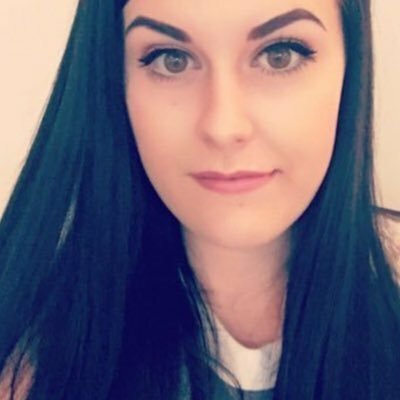 I popped them an email and they were incredibly helpful and got back to me the same day and sorted me out a replacement. 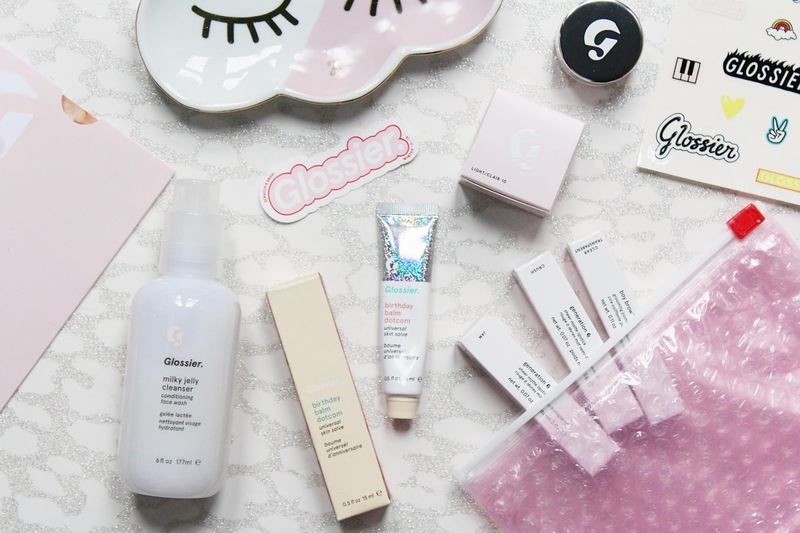 They even had asked for my batch number so they would look into it further - props to Glossier for being so great! As they had great customer service, it made me want to order more...so I did! 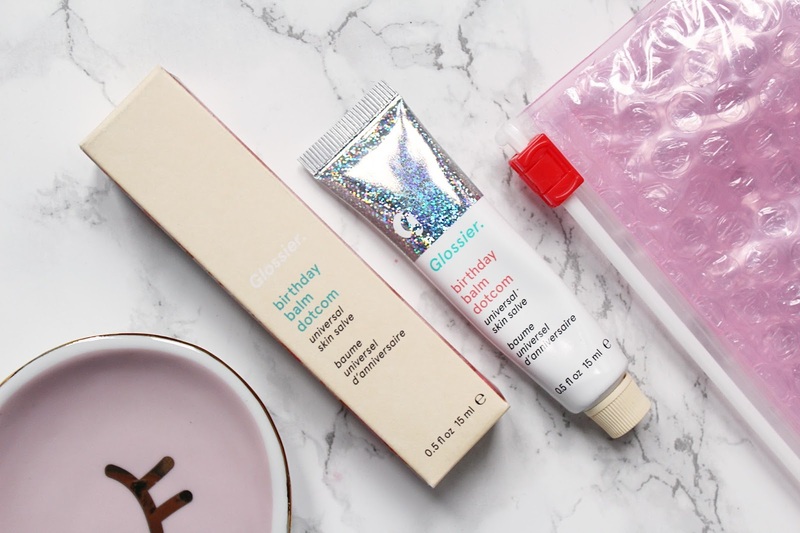 As soon as I placed my first order I regretted not ordering the birthday Balm Dotcom so that went straight into my basket! This one smells incredible and has glitter running through it and is super hydrating. I had been eyeing another one of the Generation G lipsticks and the concealer so I decided to order the Phase 2 Set as it worked out to be cheaper to order the set, especially with a discount code. Inside the set you get the Stretch Concealer, Boy Brow and a Generation G, you are able to select the shades that you want and they arrive in a gift box (and of course with a pink bubble wrap pouch!). I decided to get the concealer in light, a clear Boy Brow and the Generation G in Crush. I really like the Gen G lipsticks as they have a matte finish but are so comfortable to wear and I love the diffused, sheer look they give the lips. I haven't tried Boy Brow and the concealer enough to give my full first impressions but I do like the results so far, the concealer has better coverage than I thought it would! I know a few people had had issues with shipping but that hasn't been the case for me. They arrived within a couple of times with each order, one came through Royal Mail and the other DPD. If you want to try some products for yourself, if you use this link you will get 10% off your first purchase, (it will automatically apply at checkout).